Professor Myres gives frontier women a voice they never had. She uses extensive source material by and about women--letters, journals, and reminiscences from over 400 collections--to study the impact of the frontier on women's lives and the role of women in the West. She offers a major reinterpretation of the experience of pioneer women, including that of Indian, Mexican, French, black, and Anglo-American women. The account recreates in detail the frontier experience of all these women, beginning with their physical and intellectual responses to the trek West, and concluding with their struggle for political suffrage and economic opportunity. 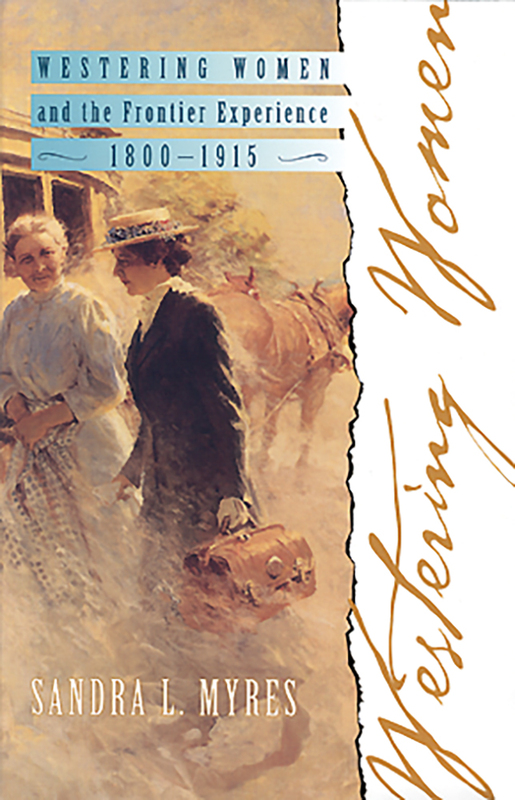 Women moved from civilization to the frontier encumbered by more than baggage. They also had to overcome literary and social stereotypes. We learn their views on wilderness, Indians, race, and religion as well as how they reacted to the daily challenges of keeping house, raising a family, and gaining a measure of equality. David J. Weber is The Robert and Nancy Dedman Professor of History and the Director of the Clements Center for Southwest Studies at Southern Methodist University. Martin Ridge is a senior research associate in the Henry E. Huntington Library. He has taught at San Diego State University, Indiana University, and the California Institute of Technology. He is the former editor of the Journal of American History and the past president of the Pacific Coast Branch of the American Historical Association and Western History Association. He is the author of numerous scholarly and review articles dealing with the American West. He is the coeditor of Histories of the American Frontier.